"Since 1997 Magnets.com has proudly manufactured and designed the highest quality, custom, full-color American made promotional refrigerator magnets. Whether looking for custom printed business card magnets, calendar magnets, save the date wedding magnets, shape magnets, schedule magnets, or anything in between we have your covered! With free artwork, setup, and proofs, consultative customer service, no hidden fees, and 50,000+ satisfied worldwide customers the choice is obvious. As we like to say, make your message stick with Magnets.com." You can also follow magnets.com on Twitter or like magnets.com on Facebook. Magnets.com sent me a sampling of several different magnets (most pictured above - click the picture for a better view), and wow the quality is incredible! They came in all different shapes: squares, a cow, a light bulb, the state of Ohio, a house and an apple (cut out from a larger rectangular magnet). The colors on the magnets are bright, the lettering is crisp, and the glossy finish gives each magnet a very polished look. The pictures of the magnets don't really do them justice, but you can see how versatile magnets.com really is. 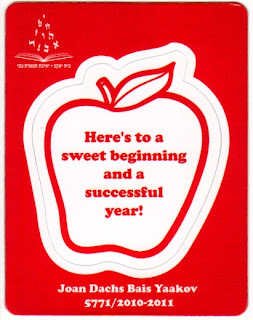 I especially love the magnet pictured below of the apple cut out from the rectangle...a pat on the back to the person who can figure out why! When I saw this magnet I had to giggle and wonder if the people at magnets.com are psychic, too. 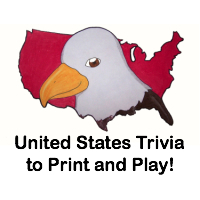 I'm really looking forward to receiving my own magnets in the mail, and I'm excited to start handing them out! What a way to get your name in front of people...every time they open the fridge. 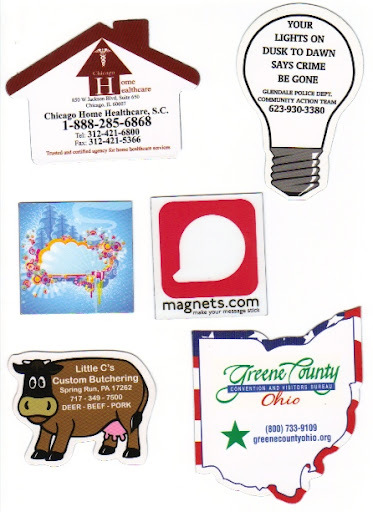 Cost: Prices vary by size, but right now you can get 1000 business card magnets for 19¢ each! Overall: We give Magnets.com a 10/10! We were sent a set of sample magnets free of charge for the sole purpose of this review and will be receiving a set of our own custom magnets; no other compensation was received. All opinions expressed are my own. 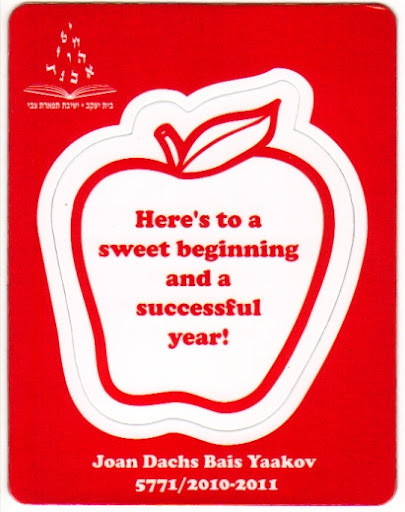 Do you like the apple magnet because it's for Rosh Hashanah? Or is there something more?